The OnePlus 3 and 3T don’t mess about when it comes to value. The smartphones features specs that are nearly identical to those on phones that cost twice as much, however, that doesn’t mean you should be treating these devices like throwaway smartphones. To keep the metal body in pristine condition, you’ll need to wrap your OnePus 3/3T inside a case. Because the OnePlus 3/3T are so good-looking, it’s a shame to cover the design up, so you’ll want to ensure the case you end up choosing looks just as sweet as the phone itself. Failing that, it best be really functional, to keep your new phone safe if you’re prone to butterfingers. Here are 15 OnePlus 3 and 3T cases we can recommend right now. Missing the traditional sandstone finish that has become synonymous with OnePlus phones? Then here’s your chance to add that grippy, gritty finish to the phone. 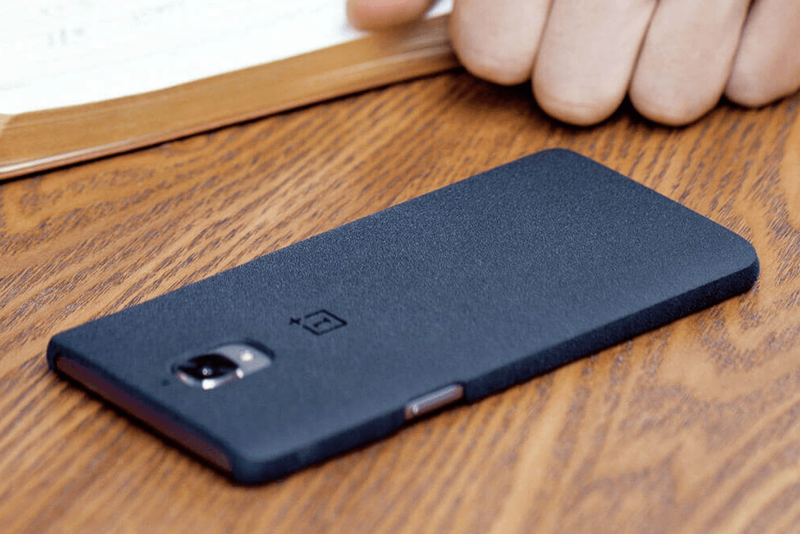 The OnePlus Protective Case is a clip-on shell that provides both corner and edge protection, along with protection for the rear panel. While the sandstone effect will attract many, you can also choose a bamboo, rosewood, black apricot, or carbon weave finish. Each back adds around 12 grams of weight to the phone. The sandstone finish is currently the cheapest option at $20, but other shells only cost $5 more. Well-known manufacturer Otterbox has opted for a dual-layer design with this custom case for the OnePlus 3/3T, which adds considerable shock and drop protection to the phone. Thanks to a soft, silicone interior and a hard outer layer. The Otterbox looks really modern for a hard-shell case and surprisingly stylish. It’s also available in three colors. The only downside is the additional 3.5 ounces it adds to the phone. Here’s a great option if you really don’t want to cover up your OnePlus 3 or 3T, but still want to keep it safe. The Fusion Bumper is made of crystal-clear plastic that’s designed to show off the phone’s design, and it’s equipped with a rubber bumper around the edge, which provides shock and drop protection. There’s even a protective inner coating to stop it from scratching the finish on the phone. Plus, it’s incredibly affordable and comes in several colors. We think the black works best, but you can add a splash of color to your OnePlus device if you choose to do so. Cruzerlite’s Bugdroid case is classic, popular, and cool. It’s made of polyurethane plastic, meaning it will absorb shock, prevent scratches, and decrease the likelihood of your phone breaking if dropped. It’s also really user-friendly, especially given the flexible body is easy to put on and take off. There are even eight color schemes from which to choose, including a clear option and a very fetching teal. Prefer to keep the screen on your phone covered up? Olixar’s folio case will do the job, and at a low price to boot. It’s not going to be made of real leather, but the phone does clip into a custom plastic frame and there are card and cash slots on the inside cover. Additionally, the cover can fold back and act as a stand, so you can prop up the phone and watch videos at your own leisure.